Each episode contains myriad moments that will inspire you to pick yourself back up or get you thinking in a positive mindset. You, too, can be a scrappy young boxer that can stand up against impossible odds to achieve his goal! Though “Joe,” a nameless boxer initially boxing under the name Jnk Dog, is competing to win Megalonia, he’s really after freedom. Just like we’re not really chasing after wealth. Rather, we’re chasing after the freedom presented by fame, fortunes, and fortitude! When we accept adequate alternatives, we find foul functions as our only option. Likewise, Joe throws fights in the underground for petty cash because that’s all he and his trainer Nanbu can find for funds. It’s wearing on them. Nanbu has accepted his fate, mostly. Joe rebels by constantly throwing himself into danger. His reckless behavior might be his way of facing his demons head-on. His regretful memories of throwing fights and acting against his honor haunt him. He wants out! Through constantly exploring his boundaries, he gets his shot at attaining his freedom. Joe’s single-minded deterministic attitude is admirable. That does make the plot predictable. There is no subtlety here. No exploring the area around the bus stop. Even with tastefully tangental twists, tiredly targeted tropes can’t completely calm casually contrarian concerns for superficially substantial settings. There is no experimentation in plot, purpose, or pretext. The main “freedom” here is its motivational dialogue! After all, this is a straight-forward boxing show about going the distance. The value of Megalobox isn’t in fighting narrative convention. Other series do dig deeply into their expansively elaborate environments. That’s great! Having the fortitudinous freedom to break bonds from tied tradition can lead to fruitfully finding intensely interesting new content. It’s just focusing too much on narrative subversion can prevent stories like Megalobox from getting their just due. 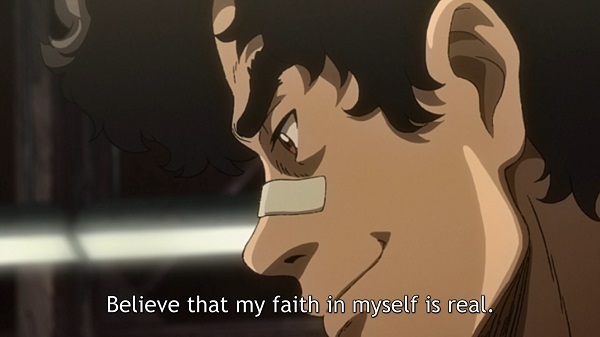 Driven ambition against adversity is the true value of Megalobox. There is nothing more inspirational than watching a competitor go all the way. Our heroes in traditional literature, comic books, and reality all tap into unfathomable confidence. If our dreams are considered impossible by others, as long as we put in the hours of effort success will take, it is possible that we, too, can become victorious in finding our freedom! Watching Joe fight, fall, forge ahead, and advance is vicariously vibrant. We can start inherently believing in ourselves the more heroic efforts we observe. Megalobox gives that rush of catching the bus with ten seconds to spare! Sources: Besides the show itself? I haven’t read any reviews now that the series has completed, and other than commentaries about visuals, I haven’t seen anything overly insightful just yet. Inspirations: Now that I’m writing fewer essays about psychology, I’ve funneled some of that effort into tangental thoughts about motivation here. 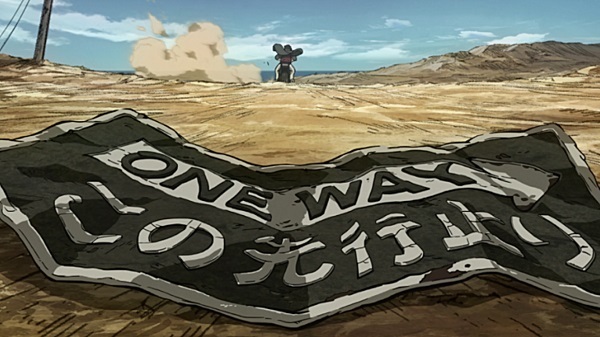 While not directly commenting on Megalobox or Joe, I think it’s relevant for a review because it strikes at what makes the show relevant to me, and possibly, you.